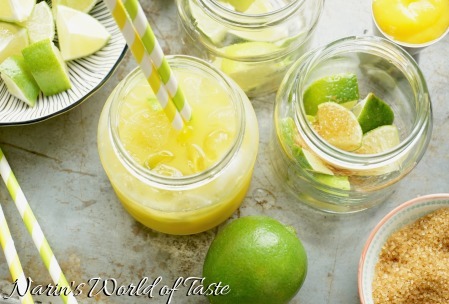 Right in time for the Olympic Games in Brazil, I created a fruity and refreshing Mango Caipirinha to enjoy on a beautiful sunny day – just imagine being alongside the picturesque beaches of Rio while listening to tropical tunes of Bossa Nova. 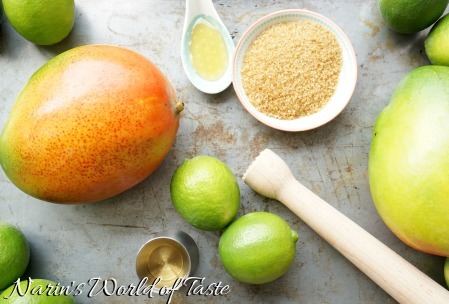 Thinking about special ingredients from Brazil, Cachaça and mango immediately came to my mind. In this recipe you will find both an alcoholic and non-alcoholic version of this fruity variation of the famous Brazilian drink. Note: I always try to buy organic ingredients, ideally seasonal and local. In this recipe, I used most of the ingredients from Delhaize Luxembourg. They offer a good variety of fresh and/or organic ingredients, locally grown and from around the world. 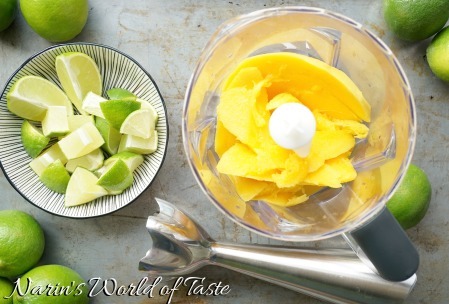 Before you start mixing your cocktails, peel the mango and add the pulp into a blender, hand blender, or food processor. Pure the mango pulp until very smooth, add some water if needed. Wash the limes and cut them into quarters, then cut each quarter into 2-3 pieces, depending on the size of the lime. Use a sturdy glass and feel free to play around with some ideas, for example, here I’m using used glasses from chickpeas, lentils etc. 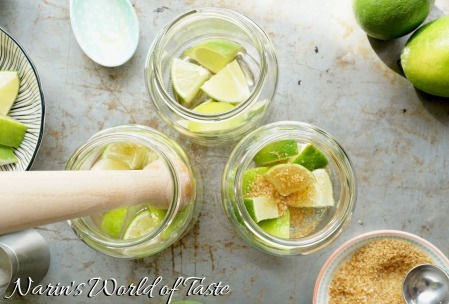 Add the lime pieces and unrefined cane sugar (or honey) into a caipirinha glass. For the alcoholic version, also add the Cachaça. 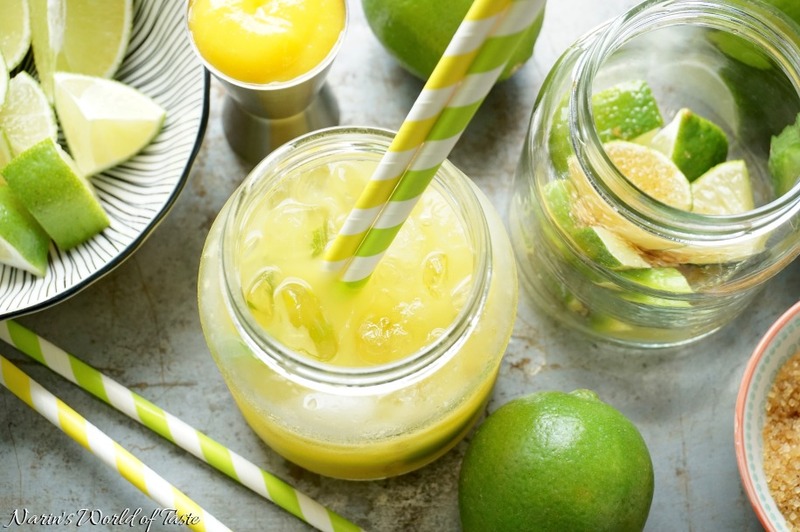 Muddle the ingredients with a wooden muddler or wooden spoon until the juice of the lime mixes with the sugar and Cachaça. Add a handful of crushed ice and pour in the mango puree. Top up with some sparkling water. Stir everything thoroughly and serve immediately.